Everything sold out for Alan Parsons’ flying visit to Bogota, Colombia, Sept 15/16 2011, including all copies of the ASSR DVD set. One final copy, held back for auction (proceeds going to sponsor Hermes Music Fundacion), went for more than half a million Colombian pesos, roughly twice the DVD set’s full list price. 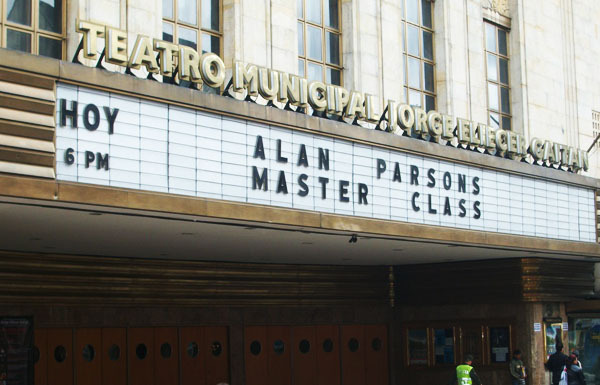 Attendance for the Master Class, held at the Centro Cultural Teatro Municipal, home to the IDARTES arts organization, exceeded 800 and the event kicked off with a surprise number from the complete Alan Parsons Live Project. 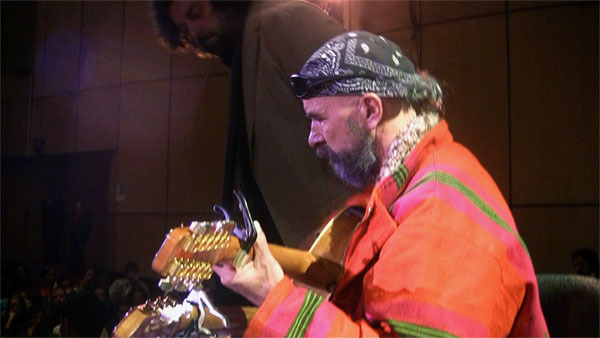 After watching the DVD set’s introductory Section in Spanish the audience was treated to a fascinating discussion on recording techniques – classic and modern – from Alan and panel of inquisitors that included Hector Buitrago from the #1 Colombian pop outfit Aterciopelados and top local recording engineer Mauricio Ramirez. Alan was later joined on stage by another local legend, Vamsi, with his unique double-neck nylon string plus 12-string steel guitar with which Alan conducted a series of live experiments on different acoustic guitar miking techniques. The two-hour event came to an official close with a lively Q&A session before Alan personally auctioned off the remaining copy of the ASSR DVD set in front of a highly enthusiastic crowd. The following night saw a full (and sellout) concert with the Alan Parsons Live Project supported by the somewhat appropriately named Patricio Stiglich Project.